Flat-Hoped Krytac CRB, ran in to an issue. When hop is applied and I look through the barrel the bucking protruding in to the barrel looks to be perfectly flat. Hi Guys, I hope all are doing well. So I decided to flat hop my Krytac CRB, I used Prommy Purple bucking and FireFly - Namazu nub. Watched many hours of YouTube videos before starting and did everything as per the videos. When I install the flat hop first is I noticed that only at MAX hop up setting - 16 on Krytac, the rubber was barely protruding in to the barrel. Decided that this probably is due to a unique hop-up arm in Krytac. To rectify this I added a small rubber piece in between the arm and firefly namazu nub, this fixed it as I was getting hop starting from around setting 3 on a Krytac. Yesterday went out for a game and this is what I noticed. My Stock Krytac was shooting straight, consistent and was reaching a target up to 40m (Considering the target distances are measured correctly in my local site) at about 42m the BBs started to drop or spread. I'm using 0,28g bbs. With my Upgraded flat Hop, I was reaching the target at 50m however, at about 33m my BBs would start to deviate towards left. Conclusion, I have increased the range but consistency has decreased. Any ideas on what should I be looking for to try and improve on this? I was still outranging a lot of the guns at my local field but unfortunately, Krytac wasn't shooting as straight as it used to with stock hop. GearTech CustomPaint 2, try him on FB or look for GearTech in forums. yes but you still would not need to pay Import fees. so as for VFC it's probably your best bet to order from gun-fire.co.uk I have Krytac CRB MKII, which I love, but it's my first gun too and I don't have much to compare it to. Range is good, rate of fire is good, built quality is good (apart from soft screws). I would recommend a Krytac. Nice find, but that is a sound amplifier instead of a silencer. Foregrip, I'm using this here. for M4 I suggest Krytac CRB or SPR, as mentioned by Samurai, Barrel length does't give much. Krytac's SPR,CRB & PDW will all perform almost identical. I went with CRB and don't regret it one bit. I'm sure other Krytac owners will say the same. What is best ak i can buy for under £400? gun-fire can do a free downgrade for you if you type in the comments section when ordering the AK from them. just let them know that it requires sub 350fps and they will downgrade it for free. Yeah I play at Skirmish Central once in a while, last weekend I was playing at Special Ops in Olney. I think CQB place you are talking about might be one of the Xsite Airsoft sites. 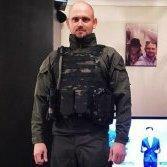 on 24th of September I'm planning on playing at RIFT Airsoft. Yeah GBB is probably not the best option for your first game or even as a first rifle it's not ideal. Maybe see if you can stick with the current barrel, if you really want to upgrade, try flat hopping your current barrel instead of buying a completely new barrel. Hi and Welcome, I hope you enjoyed your first game, what was the name of the site that you played at? I'm base in Milton Keynes, so I go to couple of sites around here. 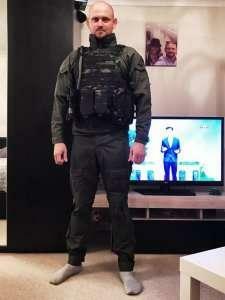 I can't say anything about their pouches as I don't own any, but I have their trousers and warrior shirt, quality wise I would give them 8 out of 10. I will comment on the quality of the fleece once it arrives tomorrow. I have ordered this Viper Elite Mid-layer Fleece - http://www.military1st.co.uk/vflelmlttm-viper-elite-mid-layer-fleece-titanium.html and I'm thinking of pairing it with this Viper Tactical Elite Jacket - http://www.military1st.co.uk/bvjktelg-viper-tactical-elite-jacket-green.html hopefully that should keep me warm in the colder months playing outside. spare pair of socks is definitely a must have for those cold months.